Launched in March 2018, the goal of this partnership was to fund 150,000 measles vaccines around the world. Thanks to an international mobilization, the partnership has surpassed the original target by reaching the 200,000 vaccines funded to date. This year, the partnership is re-edited to fight measles, where it remains a threat. 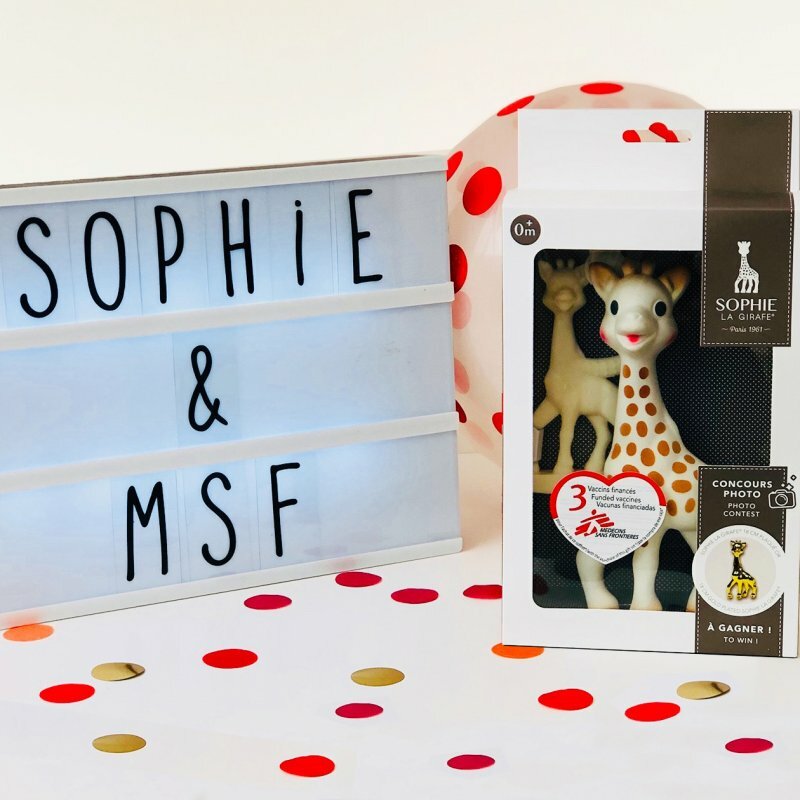 A simple gesture: by purchasing the Sophie la girafe award gift set, Sophie la girafe is committed to fund the equivalent of 3 vaccines against measles for the benefit of Médecins Sans Frontières. Post on Instagram or Facebook a photo of a red heart on the arm accompanied by hashtag # 1HeartwithSophie: Sophie la Girafe is committed to fund a vaccine against measles by post published at Médecins Sans Frontières! 1 shared photo with a heart on the arm = 1 measles vaccine funded ! To know everything about this partnership, please click here.